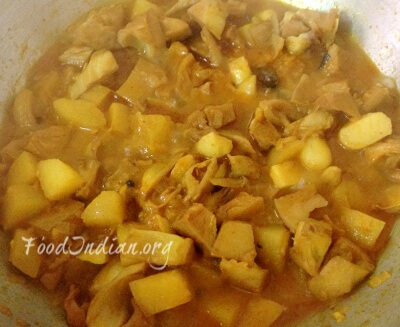 Echorer Dalna or Green Jackfruit Curry is also a very popular dish of Bengal. 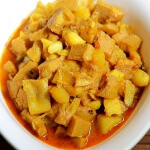 All bengalis are now enthusiast about the Bengali New Year which is on April month, and talking about Bengali’s festivals, we can’t ignore some delicious and bit different recipes. 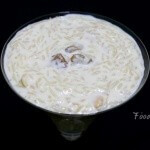 We make this preparation with raw jackfruit during the eve of Bengali New year or Poila Boisakh. 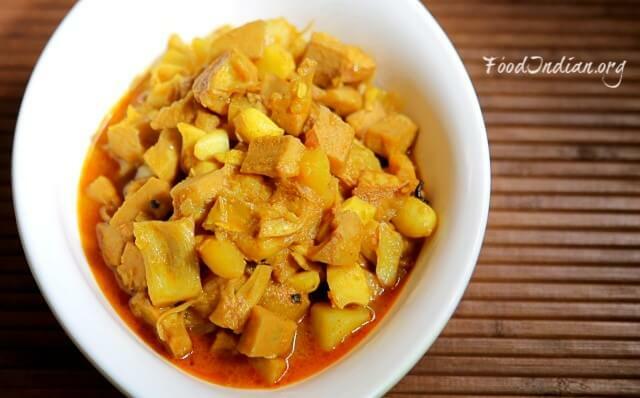 Though its bit difficult to cut the raw jackfruit, but once you get the taste of this lip smacking dish, you can never forget. 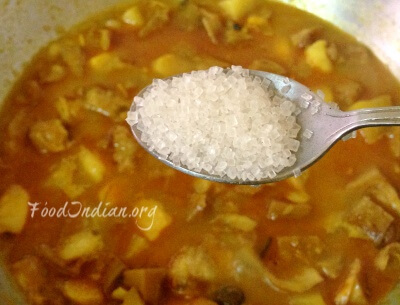 Wash the cubed jackfruit and boil them with some salt for 15 to 20 minutes. Drain the water and keep aside. Heat oil in a pan. 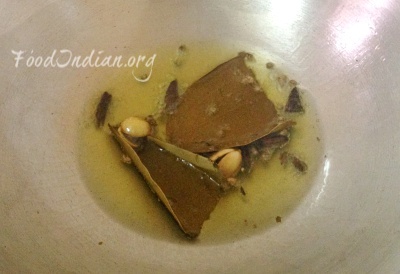 When the oil is heated, add whole garam masala and bay leaves. 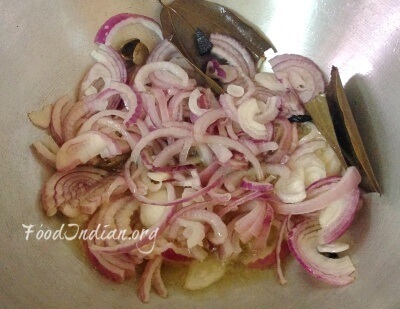 When they start releasing a beautiful aroma, add onion slices into the pan. 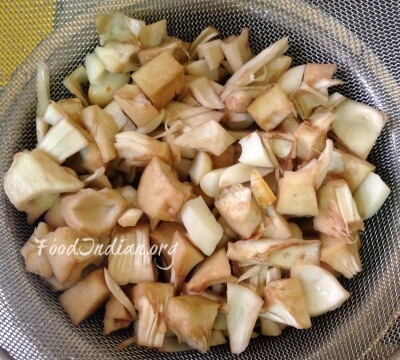 Fry them for a while on medium to high flame. 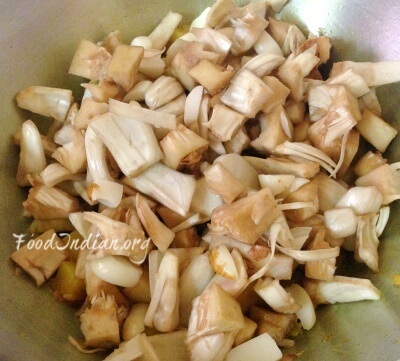 Then add grated ginger and garlic, fry them until the raw smell of garlic has gone. 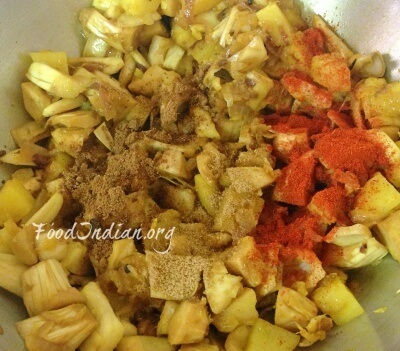 Meanwhile, add salt and turmeric powder. Cook for 5 minutes. 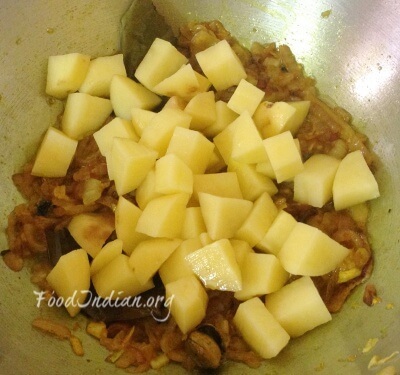 Then add potato cubes and cook for another 5 minutes. 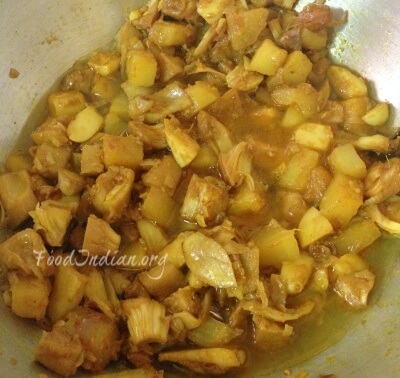 Now add the boiled jackfruit pieces into the pan and cook for a while. 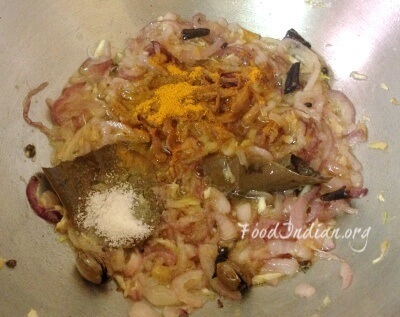 Add cumin powder, coriander powder and red chilli powder. 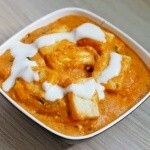 Mix everything well and cook for 5-7 minutes on low to medium flame. Its time to add water into the pan. 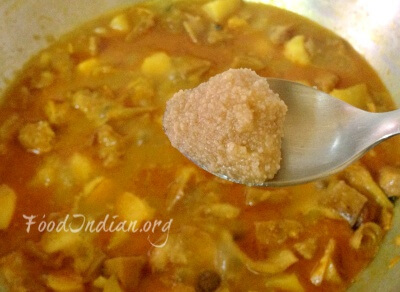 Stir and cover with a lead for 10 minutes. Keep the flame on low. After 10 minutes, put off the lead and give a good stir. 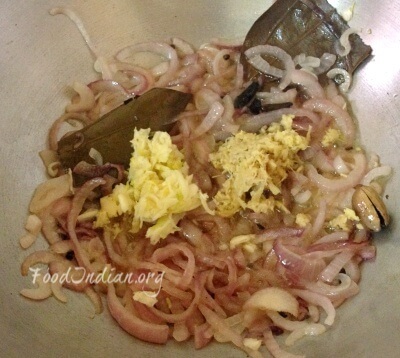 Add sugar and ghee. Stir well. 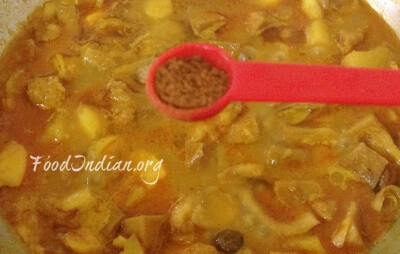 Lastly add garam masala powder. Give a stir and switch off the flame.